Make tea-time more interesting by putting our tasty Anjeer Pista Cookies on the table. Pistachios and figs are known to be a great combination for flavours that go along well. These cookies make a sweet addition to your evenings and are an ideal way of making your kids happy with the delicious taste. 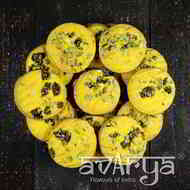 Anjeer Pista Cookies	BK-CO-1336 Make tea-time more interesting by putting our tasty Anjeer Pista Cookies on the table. Pistachios and figs are known to be a great combination for flavours that go along well. These cookies make a sweet addition to your evenings and are an ideal way of making your kids happy with the delicious taste. 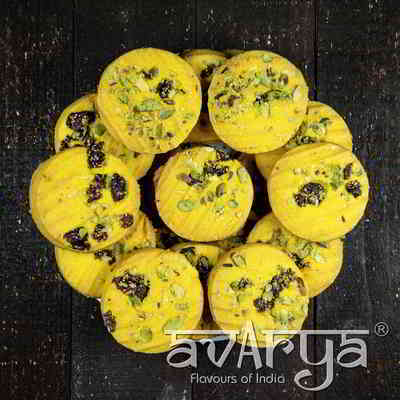 Refined Wheat Flour, Sugar, Vegetable Fat, Milk, Iodized Salt, Anjeer & Pistachio. The shelf life of Anjeer Pista Cookies is 60 days.